Journey Risk Management (JRM) is an innovative dimension of research created at the IRTE towards understanding these interactions and devising a pre journey advice module for road users undertaking highway journeys. JRM entails a scientific road safety audit through camera based recording. Highway safety has assumed the single most important worrisome issue for consideration by the Indian Highways Department.Fifty sixper cent of the 1, 30,000 annual road traffic fatalities occur on Indian highways. 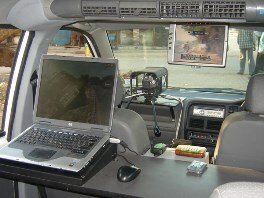 The World Report on Injury Prevention and Control by the World Health Organization (WHO 2004) states that any road traffic system is highly complex and its elements include motor vehicles, roads and road users, and their physical, social and economic environments.Understanding these elements and their interactions is vital for carrying out the field investigations, and to devise effective countermeasures to alleviate unsafe road traffic conditions. The risks to road users are also greatly reduced by understanding the implications of vehicle mix in a particular country and other ancillary factors such as speed, alcohol, and driver fatigue that influence the operating environment (HAWORTH 1998). Such conditions are amply present in India where motorized and non-motorised traffic (NMT) present a formidable challenge for traffic management. The interactions between various elements of the road traffic system are linked to safe and unsafe movements of traffic. A systems approach and thorough understanding of these interactions can be helpful in identifying potential beneficial interventions (countermeasures) to make a road traffic system less prone to hazardous conditions such as conflicts, violations and crashes. Journey Risk Management (JRM) is an innovative dimension of research created at the IRTE towards understanding these interactions and devising a pre journey advice module for road users undertaking highway journeys. The team which conducts the road safety audit pre-supposes the needs of a driver or road user in envisioning the types of risks encountered, and the support and information they would require to be assured of safer usage. These are based upon various police records of accidents, interviews with different type of road users of respective areas as well as on the culture of road usage in relation to environment, enforcement, awareness factors etc.Once the analysis of the data is complete, the whole section of the road is categorized into different risk areas with a colour code. The rating of roads provides a methodology to measure the safety performance of a road network. The survey vehicle- CrashLab速 has been specially customized and equipped with multi cameras, laser based speed measurement and recording devices, laptop and GPS systems. The process of recording the road environment, risks, hazards as well as facilities available is carried out by joint team of traffic engineers, accident analysts, and cameraman and road safety experts. The final analysis is presented in the form of a detailed report supported by maps, photographs, risk-rating and analysis. The booklet is called the Trem Card (Transport Emergency Card). The out-put of the risk assessment is also delivered in the form of files in *. Shp formats which help the fleet operators link such critical data in their VTS (vehicle tracking systems). The multidimensional approach of JRM process makes it useful for almost every one. Industries and corporates in Fleet Management and safe transportation of men and material. The JRM was initiated at the IRTE with the support and partnership of Castrol India Ltd. In addition to BP & Castrol India Ltd, IRTE has conducted JRM for Cairn India Ltd, ACC Cements amongst others. 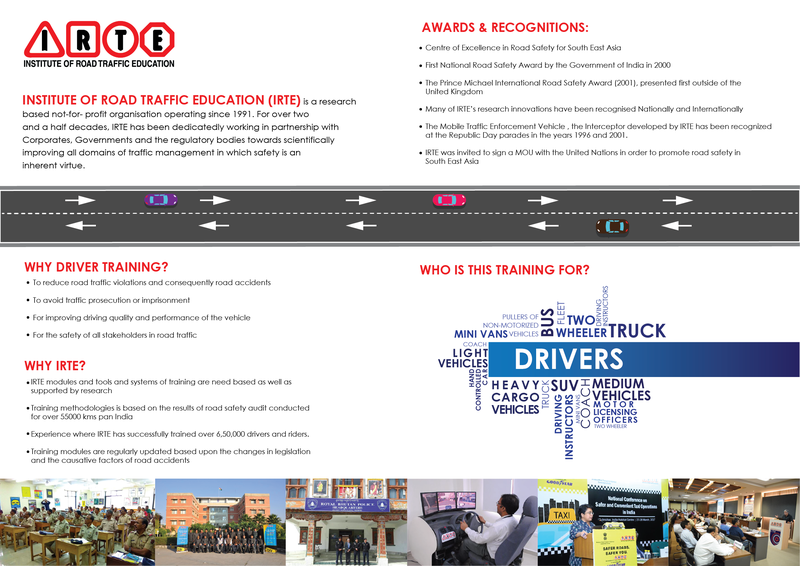 More than 19,000 kilometres of Indian National and State Highways have been road safety audited by IRTE under this programme. The introduction of JRM in India is a very good example of how agencies in both public and private sectors can benefit from basic approaches to help improve road safety-examination of road environment and removing hurtful activities and errors from the infrastructure. Drivers, road users and system operators are all beneficiaries from JRM approach in India. IRTE is very pleased with the effort and its successful acceptance by concerned parties in India.